Are you, or any of your family members, afraid to smile because of uneven or crooked teeth? Lake Cities Dental can help! The value of orthodontic correction lies in its ability to improve the health of the teeth and bite by better alignment and function. Besides improved oral health, patients often realize and value improved facial balance and speech. Orthodontic treatment is a lifelong investment in you – your teeth, your bite and your self-image. It is available to people of all ages, child through adult. Many adults are finding that they are now able to afford the braces that were unavailable to them as children. 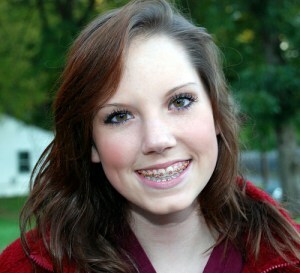 Over the last decade, braces have evolved significantly. Gone are the days of heavy headgear. We are living in an age of smaller, more lightweight brackets, less pain and an average wear time of only 12-20 months. There has never been a better time to commit to protecting and improving your most noticeable facial feature. Investing in orthodontics can prevent tooth decay by correcting misaligned teeth that make good oral hygiene a difficult task. Without proper attention, crooked and overlapping teeth can collect excess plaque which increases the risk of cavities. This could affect not only the teeth but gum health as well, which may eventually lead to heart disease. Headaches, chewing problems, earaches, and speech impediments can also be caused by poor jaw alignment. At times this can even lead to very painful temporomandibular problems. Ultimately, your decision to say, “Yes” to orthodontics could save you major cash in procedures and prescriptions and major discomfort later. It is no secret that when you look and feel your best, you’re able to approach every day with more confidence and boldness. Having the smile you’ve always wanted is priceless, and when it comes to first impressions, a bright, beautiful smile speaks volumes. Have you always wanted a beautiful smile that reflects who you really are? 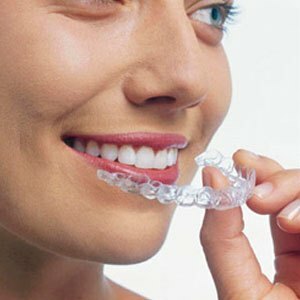 Do you want to learn more about how orthodontics can improve your overall health? Make an appointment with Dr. Moore, and say, “yes” to health, confidence, and to making your smile a priority today!